For pricing list password click here! For over 50 years, Loctite® has provided customers with advanced adhesive and sealing solutions. Our ongoing commitment to innovation insures continued development of breakthrough formulations and frustration-free dispensing systems. With over 5,000 patents, Loctite leads the category and offers the broadest line of premium quality acrylics, anaerobics, cyanoacrylates, epoxies, aerosols, silicones and urethanes. Our product portfolio features the product depth to address specific situations and the breadth to address most every bonding and sealing application. The best in class for cordless power tool technology. Makita utilizes leading-edge technology and innovation to engineer tools that are more compact with less weight yet deliver industrial power and results. At Masonite, we understand that a door is much more than a door – it is the backdrop for those first-day-of-school photos, the perfect camouflage during a game of hide-and-seek, a warm welcome for family and friends. Doors are woven into the fabric of our everyday lives, which is why the doors you choose for your home should express who you are and what you value. Welcome to Metal Sales™ Manufacturing Corporation - the nation's largest manufacturer of metal roofing, wall and building systems. Founded in 1963, Metal Sales operates manufacturing facilities in 21 locations throughout the United States and Alaska. Today, our metal building products and systems are used in all building sectors including: commercial, institutional, light commercial, industrial, agricultural, and residential markets. Metal Sales is firmly committed to helping build and re-build America's infrastructure with truly innovative, higher quality, longer lasting and more environmentally sensible products. 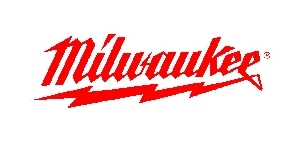 Milwaukee Electric Tool Corp. is an industry-leading manufacturer and marketer of heavy-duty, portable electric power tools and accessories for professional users worldwide. Since the company began in 1924, Milwaukee Tool has led the industry in both durability and performance. With an unwavering commitment to the trades, Milwaukee continues to lead with a focus on providing innovative, trade-specific solutions. Whether it is through their leadership in LITHIUM-ION technology, as seen in the M12™, M18™ & M28™ Systems, time-saving accessories or innovative hand tool products, Milwaukee is dedicated to delivering a steady stream of advanced solutions for the trades that offer increased productivity and unmatched durability. Minwax offers wood stains, wood finishes, wood conditioners, wood fillers, wood cleaners & more for your woodworking projects. Miracle-Gro helps your plants, flowers, and gardens flourish with proven products that provide ultimate nutrition and maximum growth. National Hardware is the leader in builders hardware today with more than 15 product categories and over 7,500 SKUs. As a global business, we continue to focus on providing the best hardware and service to our valued customers. Norton is the leading manufacturer of commercial door closers since 1880. Our products are used in schools, hospitals and businesses around the globe. Oklahoma Steel and Wire and Iowa Steel and Wire offer a complete line of both Agricultural and Industrial wire products. Providing products that meet or exceed industry standards, devising new industry products, or improving the functionality of existing products, Oklahoma and Iowa Steel and Wire Companies make the products you can depend on. No matter where you are, ask for us by name OK BRAND. 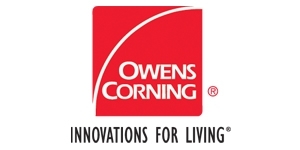 For more than 75 years, we've been a leader in the glass fiber industry. And our global presence, including locations in 26 countries, with more than 16,000 employees, helps us keep a pulse on global needs. Our commitment to market-leading products and innovations has kept our Company on the Fortune 500® list for 63 consecutive years. In this age of globalization and corporate consolidation, we at Penofin have remained true to our core beliefs and identity of being one of the last remaining proudly independent coating companies. Our commitment to our customers and independent channels of dealers and distributors is sacred and we will continue, with an uncompromising approach, to provide the highest quality products for your coating needs. All of our products adhere to our number one goal: protect and reveal nature's beauty, period. I invite you to explore our product offerings and share in our passion. Primelock is factory coated with a proprietary high performance multi-layer process of conditioner, sealer, and topcoat. The coating system is warranted against cracking, peeling, flaking, chalking, excessive yellowing, and UV weathering for a period of 10 years after the delivery to the job site. Warranty is limited to repair or material replacement of any defective product. Princeton Forest Products was founded in 1988, operating out of the home and barn of the founders, Stephen and Jan Jones. After leasing space in Shirley, MA, zoning limited the expansion and growth of the company. The warehouse in Orange, MA was completed and the move to the new warehouse finished in 1991. Purdy Professional Painting Tools. The art of brushmaking is at the very heart of our success. Since day one, every Purdy brush has been hand made without ever compromising on quality. Purdy® offers a full line of surface preparation tools to scrape, brush and strip old paint and other compounds from a wide range of surfaces. Recycled plastic Redibase Footing Forms are the cost-effective solution to a long-lasting, trouble-free, exterior structure. Redibase equipped in-ground columns will not sink, tilt or frost heave and provide a strong, stable building platform for a multitude of uses including decks, porches, verandahs, gazebos, add-ons, outbuildings etc. Our hardware is expertly crafted in America using only the finest art-grade bronze and precision-quality mechanisms that stand up to the test of time. In fact, all products are backed by a lifetime guarantee. Each piece is individually cast for one-of-a-kind character, and then given a hand-applied patina that grows richer and more lustrous in response to the environment. At Rogue Valley Door, we love the woods. And it’s kind of hard not to when you’re nestled in some of the most beautiful, lush, and majestic scenery in all of North America. Humbly located in the southern regions of Oregon lies the Rogue Valley, a kingdom teeming with life and bursting at the seams with natural wonder. From the famous Steelhead trout and Coho Salmon to the mighty Rogue River charging through the forest breathing life into towering Douglas firs and Ponderosa pines, the Rogue Valley is a truly unique world with a pulse all its own. So come explore these woods and see why you should take a little piece of our world home to yours. Whether you are making cutouts in drywall, curve cutting tile, or plunging into a laminate, RotoZip has the tools to get the job done. High-performance accessories, attachments, and tools to cut through a wide variety of materials. You've always known us as ROXUL, the company behind the high-quality stone wool insulation. But in a time when the potential energy savings of buildings has yet to be reached, how can we simply sit back? We can't. By uniting under the global name ROCKWOOL, we can innovate, explore and develop new ways to do more for our customers and our planet. Sakrete is the pro’s choice for concrete, mortar and stucco mixes and repair and maintenance products.Contractors and do-it-yourselfers rely on the quality, consistency and proven performance of Sakrete products. Our understanding of product quality and availability along with the best technical and customer support make it easier to get the job done. Our commitment to innovation and dependability has made Sakrete the pro’s choice since 1936. Schlage door hardware offers an easy way to enhance the style of a home, keep it safe, and even make it smarter. Trusted in over 40 million homes, we create stylish, innovative products that bring the possibilities and potential of every door in your home to life. Which means we’re opening a lot more than just doors. Dettinger Lumber is a fixture in the Pittsfield community. Our roots go back to 1926 when Jacob Dettinger first opened for business. His wife Maxine Dettinger took over after his death. In 1959 she hired Les Sutherland who quickly took over the day to day operations and eventually bought out the Dettinger Family. With his leadership and tireless work ethic the business continued to grow and flourish. Today his children David and Joanne and their dedicated staff provide the same excellent customer service and quality materials that Dettinger customers have relied on for almost 90 years. © 2019 Dettinger Lumber Company. All rights reserved.